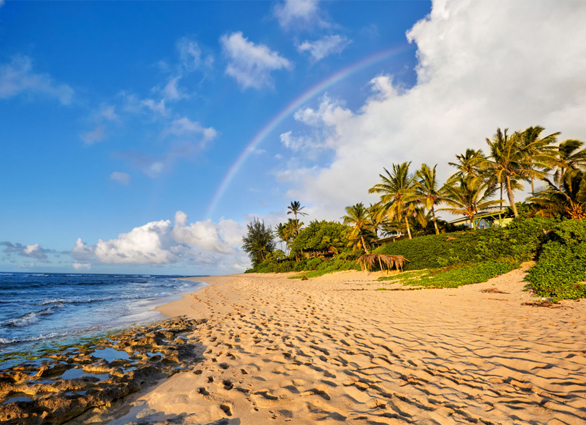 Perfect sunsets, unspoiled tropical beaches, cascading mountains and the “Grand Canyon” of the Pacific are some of the highlights that make Kauai unique. Surrounded by swaying palms you will find your own Hawaii Paradise at the Pono Kai Resort. In 1877, King Lelei-o-hoku died and the reign of King Kalakaua of Hawaii began. He took advantage of the opportunity to set up a mini-court on the island of Kauai. There had been a chorale group of 15 or so individuals, called the Ka-wai-hau Hui. The name Ka-wai-hau means ice water and was originally given to a white woman residing in Honolulu. She would not partake in the fiery gin that the King preferred but would sip ice water. The word Hui is used to describe a group of people and the word is still used frequently in every day language in Hawaii. The Ka-wai-hau Hui was sent to Kauai to establish agriculture benefits in the District of Puna, which covered the majority of the east coast of the island. The very same year the Puna district was divided into several small sections called a Ahupua’a. One of these were Kapa’a Pono. The word Kapa’a can be literally translated to mean; solid . Pa’a Pono can be interpreted as a definite commitment or steadfast uprightness. A figurative meaning for this phrase would be to do the right thing with meaningful intentions. 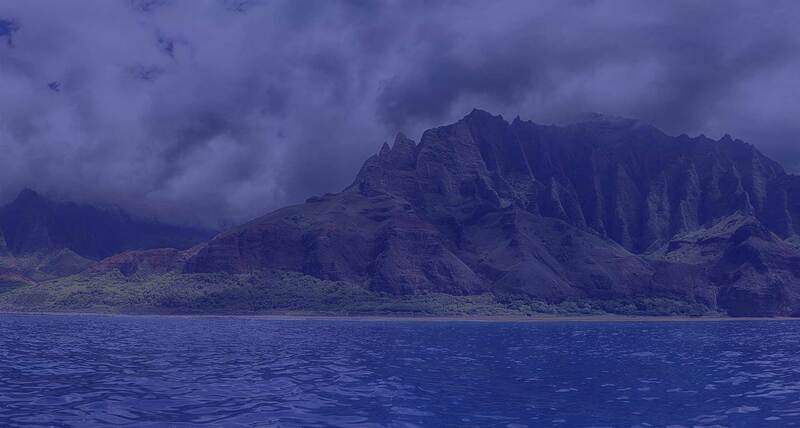 Not much is known as to what was actually at the Pono Kai prior to 1913. It may have been a fishing ground. In 1913 a land grant was issued to Hawaiian Canneries for their pineapple cannery. The cannery was called the Pono Cannery. The cannery operated for forty-seven years and was closed down in 1960. The cannery provided full-time jobs for many Kauaians and summer jobs for teen-agers. It’s surprising to learn that so many people on the island today remember the expansive cannery. They speak fondly of watching the pineapples zip down the fields pulled by the mini-train. The lobby at Pono Kai has photographs of the cannery and other bits of interesting Hawaiian history. Plans to build the condominium project at Pono Kai began in 1975. The prefix Pono (constant) together with Kai (seas) formed the name of the 241-unit complex. The resort today is a majority of one and two bedroom timeshare vacation units and some whole ownership. Situated on beachfront property the resort has much to offer the Malihini (visitor) and the Kamaiana. The grounds of Pono Kai cover approximately 11 acres. Please stop by and visit our beautiful resort the next time you are on Kauai. Comprised of 17 timeshare units (1 unit each in B, C, G and H Buildings, 2 units each in A, D and F Buildings, 3 units in E Building, and 4 units in J Building), PFTSOA represents 7.0936% of the ownership at the Pono Kai Resort. PFTSOA is responsible for the maintenance of each of their 17 units. AOAO is the “master” association at the Pono Kai. Within the AOAO there are 74 wholly owned units/apartments (multiple units in buildings A-J). These units are not timeshare. An individual or organization owns each unit in the AOAO. There is only one permanent resident in the AOAO, with the remaining units being utilized as second homes or vacation rental property, many of which are involved in a rental pool which is managed by Marc Resorts. There is also a commercial unit, located near the lobby (where IVC is providing activity services). The AOAO is responsible for all building exteriors and the common areas (pool, tennis courts, lobby, walkways, landscaping, etc.) The 74 wholly owned units in the AOAO represent 32.9627% of the total ownership. A portion of the fees that you pay to your association is paid to the AOAO. Every owner at the resort (including PKIOA and PFTSOA owners) is a member of the AOAO.